My stance on legitimate education reform is clear: testing, standardization and accountability inhibit learning and should be abolished, and teachers should be inspired to create vibrant, chaotic, collaborative, technology-rich classrooms that encourage a thirst for learning. Although I preach incessantly that teachers must not allow standards and testing to impinge upon creativity, I still wonder how progressive education and the common core can coexist. I am part of my district’s Common Core Transition Team, which means I’m working with others to develop curriculum based on the new standards. We are told that the common core provides an opportunity to teach students how to think critically. Rigorous nonfiction texts will be used so that deep reading can be accomplished and thoughtful summations can be written. This may sound exciting to someone who hasn’t read the standards and who is mesmerized by the spin doctoring. Once the rhetoric stops, though, even the most casual observer will understand that words and phrases like “rigorous” and “deep reading” are euphemisms for “boring” and “guided reading,” neither of which lends itself to education reform. So, prior to returning to my creations, which are driven by my own personal and professional standards rather than those mandated by the government, I contemplate this overwhelming issue. If educators are stuck with the common core and will eventually be evaluated on how well students perform on the tests that accompany it, how is a progressive, student-centered learning environment to survive? Will teachers be willing to extend their own professional development and hard work beyond what is provided by Partnership for Assessment of Readiness for College (PARCC), which governs the CCSS and the assessments? Will students be relegated to months of rigor, deep reading and test preparation, in lieu of collaboration, project-based learning and independent reading? College and Career (PARCC) and Smarter Balanced Assessment Consortium (SBAC). not to mention local school boards, are complete removed from having a say. Maybe the first question asked should be why was CCSS allowed to be adopted by circumventing the legislative process? Instead of worrying if CCSS and education can coexist, shouldn't we be worried that we now have a nationalized educational system that doesn't respond to local concerns? If the teachers feel left out of the process of delivering education, imagine how the taxpayers feel of having to pay for a system in which they have no decision making. All the system wants is their children and their money but not their ideas/plans on the educational delivery/content for their children. I really appreciate your work on this issue!! 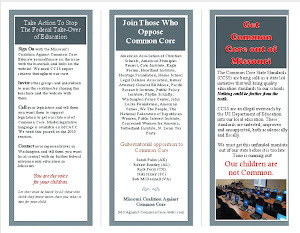 Many have abdicated their responsibility their constituents by not taking action to stop Common Core. 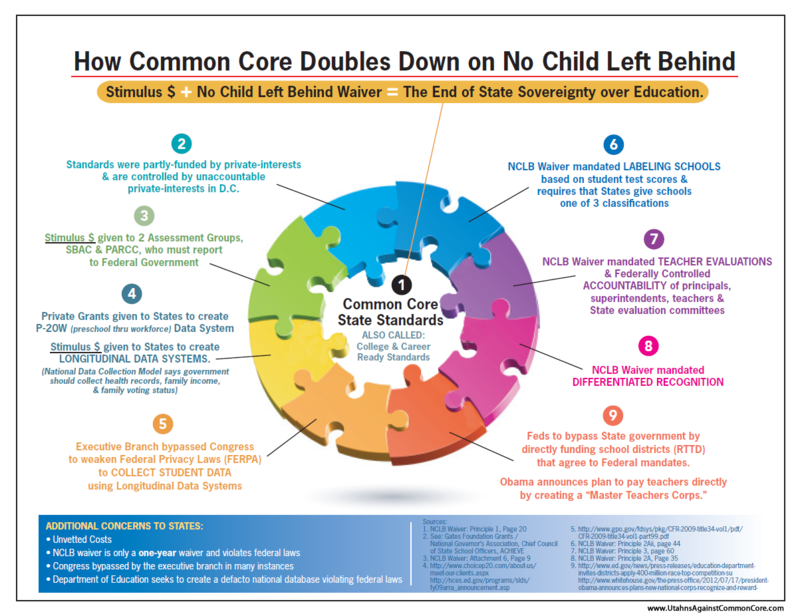 Some may have believed initially that Common Core Standards would provide the vehicle by which teachers and schools could be held more accountable. They must be rethinking that presumably well-intentioned belief now that parentalrights.org has exposed the datamining issue surrounding inBloom. Clearly, many well-connected people desire to find their bank accounts "inBloom" during this season of Common Core Standards. I'm a math teacher and I strongly disagree with Mark Barnes that "testing, standardization and accountability inhibit learning and should be abolished" I'm accountable to my students, their parents, my administrators and our school board. I'm a public servant. I believe that assessments are important. I use them to guide instruction, give academic feedback to students and parents, and my school district uses them to ensure that instruction is appropriate and, yes, rigorous. 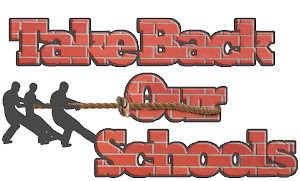 You asked, "Why was CCSS allowed to be adopted by circumventing the legislative process?" That is the problem that many are just beginning to understand. An illegal law, is not a law, as is an illegal agenda not legal if the Constitution is chopped in pieces to accomplish a goal, IMO.